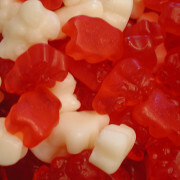 Tart and tangy gummy hearts. 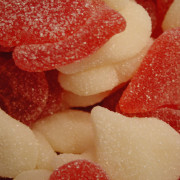 Strawberry Banana and Cherry mix of these flavorful favorites. 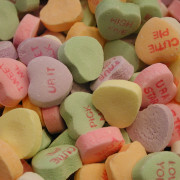 Original and traditional Necco Conversation hearts. 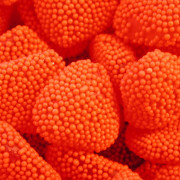 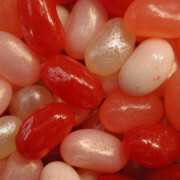 Red Raspberry Hearts from Jelly Belly. 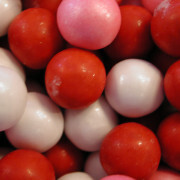 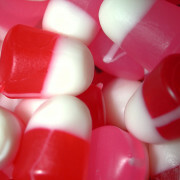 Chewy raspberry jells covered in crunchy candy seeds. 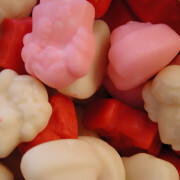 A great Valentines Day candy!